CRUISE SHIP ONLY! 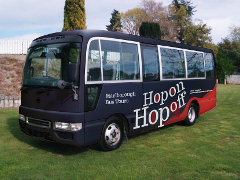 Hop on and discover the Wonders of Marlborough, Museums, Activites (Boat Wildlife Tours & Bike Tours), Breweries, Shopping, Restaurants and more! A One-way ticket with pickup from Picton i-SITE and drop-off at Blenheim (Blenheim i-SITE or Town Stop (Seymour Square)). 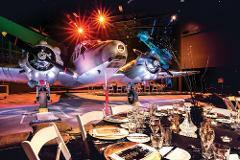 A one-way ticket with pickup from Blenheim and drop off at Picton i-SITE. Please Note: 4 to 6 people are required to run the bus. We reserve the right to change the date or offer a full refund.